Bluebells traditionally start appearing from mid April through to May, they really are a stunning sight and a lovely way to spend a morning with the kiddies. We’ve got a handy guide to some of our favourite places to go for a bluebell walk in Berkshire and beyond. Please check ahead with your chosen bluebell venue to make sure the flowers are out before travelling as times vary from year to year. Claiming the Little Ankle Biters top spot is Fernygrove Farm. This is a firm favourite of ours, we love Fernygrove Farm and even more so when the bluebells make a welcome appearance. This year the bluebell walk will be open from Tuesday 23 – Sunday 28 April (9am – 3pm). Pop into the restaurant and make a donation with money going to Sebastian’s Action Trust, before walking down to the woods. It’s a short stroll down and then a beautiful walk through the woods which get covered with a carpet of stunning bluebells. Follow the windy (and sometimes a little hilly) path through the woods and then back up to the restaurant where you can grab a cuppa and slice of cake while the kiddies explore the outdoor play equipment. Adults £5.00, children under 16 are free. Donations made to Sebastian’s Action Trust. Be warned it can get pretty busy at the weekends but they have an overflow car park if needed. For more information, click here. The woods at Cliveden provide a beautiful backdrop to the stunning bluebell display. Park up in the Woodland Car Park and follow the path through the woods up towards the main house. It’s about a mile if you walk the full way back to the house. Once you’re there you can enjoy the great family facilities including a maze, children’s play area, pond with bridges and stepping stones and cafes. This is also where you’ll find the bathrooms and changing facilities. 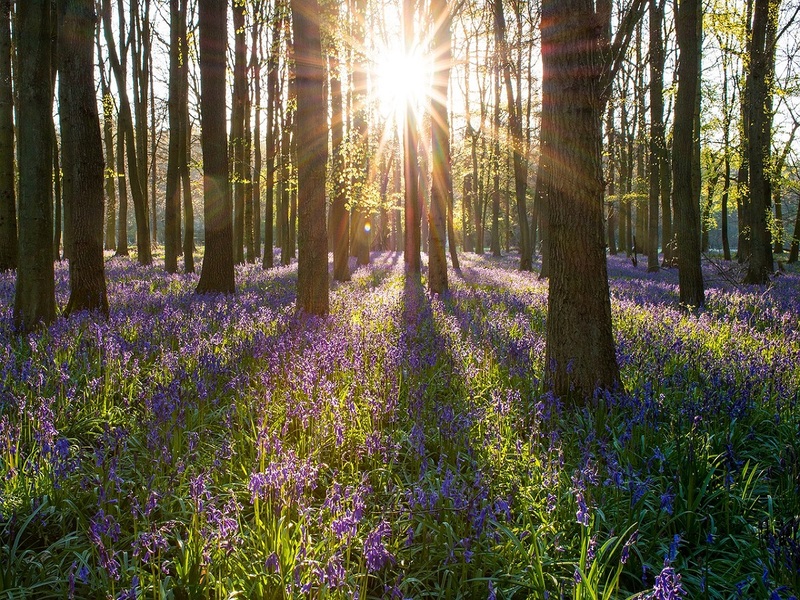 With its hidden valleys, sunny glades and patches of heathland, Bowdown Woods near Newbury is a lovely spot for a family walk, especially in Spring when the bluebells appear throughout the woods. Follow the twisting path through the stunning woodland and enjoy a slice of nature at its best. You may even spot a deer or some of the other amazing wildlife in the area. Towards the end of April and the beginning of May, keep an eye out for the bluebells which are at their peak during this time of year. Basildon Park National Trust is a great place to bring the children to witness these beautiful flowers. Ask the friendly staff at the visitor centre for the best places to spot them on your walk. This ancient woodland at Cookham Dean near Maidenhead is over 400 years old and is a lovely place to go for a family walk when the bluebells make an appearance in Spring. Located at Tidmarsh, between Pangbourne and Theale, you’ll find Moor Copse Nature Reserve. During April / May the woodland area will be transformed into a bluebell wonderland, and proves a pretty walking spot. You can also take a stroll through the meadow or alongside the River Pang. Pope’s Meadow in Binfield is a great space with open grassland, ponds and woodland, home to many different wildlife, trees and wild flowers. Take a stroll through the woodland area from April in to May to see the beautiful bluebells in all their glory. You’ll also find a toddler’s play area. Another Little Ankle Biters favourite, just over the border into Oxfordshire, is Greys Court. The Spinney Woods at Greys become home to a carpet of bluebells from April time (weather dependent). There will be marked out paths for families to follow, as well as a beautiful stroll this is quite a sight to witness. Greys also has stunning walled gardens as well as a den making area and children’s play area in the woods. There’s a café and bathrooms with changing facilities. We hope you found this post useful. 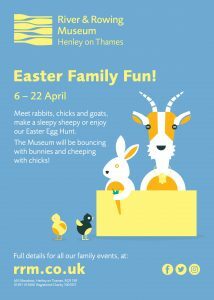 For other ideas on days out with the kiddies, click here.